At this moment, I feel Archangel Gabriel’s presence around me. Therefore I’ve decided to write about this Archangel. For anyone who has any astrological knowledge, I personally have the planets Venus, Mars and Saturn all sitting in the fifth house of children. Transiting Pluto has parked itself right next to my Mars and Saturn for many months now. It is no wonder that I would like to work with children on some sort of level at present. Archangel Gabriel is the messenger. This is the angel to call upon when you need assistance. Gabriel will help give you clear messages, and helps messengers themselves, (e.g. teachers, writers, counsellors, actors and artists). 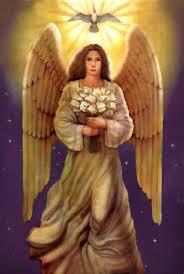 Gabriel helps people who wish to work with children as the Archangel is very concerned about children’s welfare. This angel also, is the angel to call upon regarding any aspects purporting to children, such as, conception birth and adoption. Archangel Gabriel is one of my favorite angels. I believe, there is only love and everything else is an illusion. Planet Earth needs everybody to be more loving and understanding. We all can, only do our best. In order to obtain peace on this beautiful planet we really need to love ourselves. We need to understand and learn to open our hearts and be forgiving and accepting of ourselves and others. This is, I believe, the key to positive change for all of us. Astrologically, the sun has been transiting in the sign of Taurus. This sign is ruled by Venus the planet of love. Saturn has been transiting in the sign of Scorpio which is the opposite sign of Taurus. Ask yourself, “How have our relationships been playing out while under this transit”? Some of us have been sailing closer to the wind than others. This transit may be bringing up issues of love, money and values. Now is the time to love, accept, forgive and free ourselves. A Solar Eclipse is occurring over the 9th and 10th May. This eclipse will be in the Sign of Taurus at 19 degrees. This will be significant for Taureans born between the 10th and 12th May. Of course, there are changes for all of us over the next six months. This depends where the eclipse sits and where it aspects in one’s natal chart. For me, the eclipse sits in my ninth house. The Ninth house refers to travel, spirituality, in-laws, learning, teaching, law, publishing, writing and religion. Before realising there is an eclipse in May, I had trips booked already in May, June and August. Interestingly, two of these trips are based on Spirituality. It is one of my goals to increase my writing over the next six months! 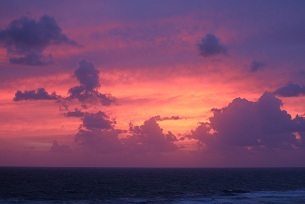 Moving into May, under the umbrella of Numerology, I went into my personal month of six. A 6th month indicates home, family and creativity. Viewing my lunar astrological chart for this month, I noticed I have a packed 6th house of planets. The sixth house in Astrology represents work, health and service. In this chart, the sun conjunct mars and trines Pluto in the second house (of money, values and personal possessions). The 1st May I woke up with a cold sore on my lip! My shoulders and neck were very stiff, so I booked in for a Spiritual massage yesterday. It was exactly what I needed, and I proceeded to book in for a Reiki session in a couple of weeks. Next week, I am just about all booked out with clients for my private sessions! Last but not least, we have a lot of family gatherings. Family dinners, Mother’s day, my son turning thirty, and we are flying to Sydney to see family. The numbers and stars are very much connected. Angels are our dearest friends. They are here to help us. Unless we ask for their help, they cannot intervene. Eighteen months ago I put a set of my friend’s house keys in a safe place in my house, so safe I couldn’t find them! I calmed myself down and asked the Angels to help me find the place where I had hidden the keys. Automatically, the first picture that came to mind was indeed the safe place where I had hidden the keys!